After a recent oil spill, people have been sending sweaters to help with the little birds’ health. The owner of a New Zealand knitting shop has had tremendous success with the bid for knit sweaters for penguins. 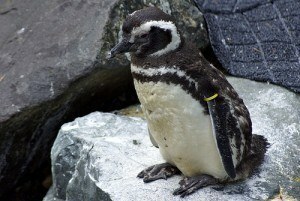 To protect the birds from the recent oil spill, the sweaters prevent the penguins from preening oil off their feathers which is harmful for them. The store, Skeinz, posted their appeal on October 11th and since then a massive amount of sweaters have been sent in for the little birds. While they are not currently asking for anymore sweaters, if someone has completed one, they encourage to send them anyways. The oil spill, which happened on October 6th, was caused by a ship hitting the reef off New Zealand’s east coast. 350 tonnes or 700,000 pounds of fuel was spilled.